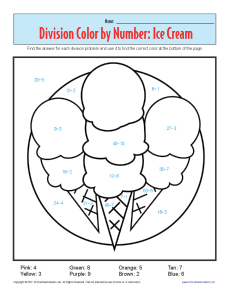 Your student will get the scoop on division in this color by number worksheet! Each color corresponds to the quotient of a problem. Solve the equation and you find the right color to use!